David Lynch glimpses another dimension and Kyle MacLachlan takes us deeper into Dougie's mind in an enthralling episode. But once they left the desert, Cooper’s reality shifts. Yes, he survived the Mitchum brothers’ planned assassination, but as soon as the three men share the life-saving pie, Cooper’s neutral expression droops. He appears troubled, concerned; as if the act of eating pie with these besuited gentlemen didn’t fit his vision of reality – of right and wrong. That’s because it is wrong. Cooper belongs with Gordon Cole (David Lynch) and Albert Rosenfield (Miguel Ferrer), sipping coffee and eating donuts in Detective Dave Macklay’s (Brent Briscoe) office. Coffee, donuts, and especially pie are for the good guys, and something in Cooper’s well-trained FBI-brain knows his dining companions aren’t working above board. He did what he had to do to survive — with the help of Phillip Gerard (Al Strobel) and The Red Room — but the melancholic notes from the piano seem to trigger his instinct: He doesn’t belong there. Does this mean Cooper is waking up from his Dougie dream? We dare not predict as much after 11 hours spent without seeing the Old Cooper. 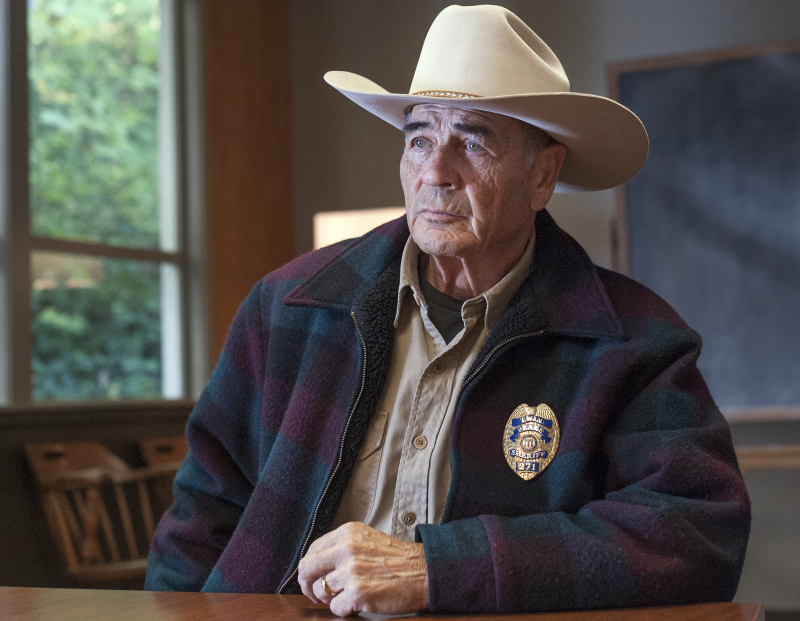 “Twin Peaks: The Return” has become as much about rediscovering Cooper as it is a murder-mystery driven by Mr. C’s misdeeds. But he’s more motivated than ever, just as Hawk (Michael Horse) is preparing to visit The Black Lodge. Continue reading for the symbolism of “Part 11” and an appreciation of Kyle MacLachlan.